1970 Chevy one ton flat-bed dually. Professional grade capacity, unparalleled vintage style. Superb power from trick 327 motor. 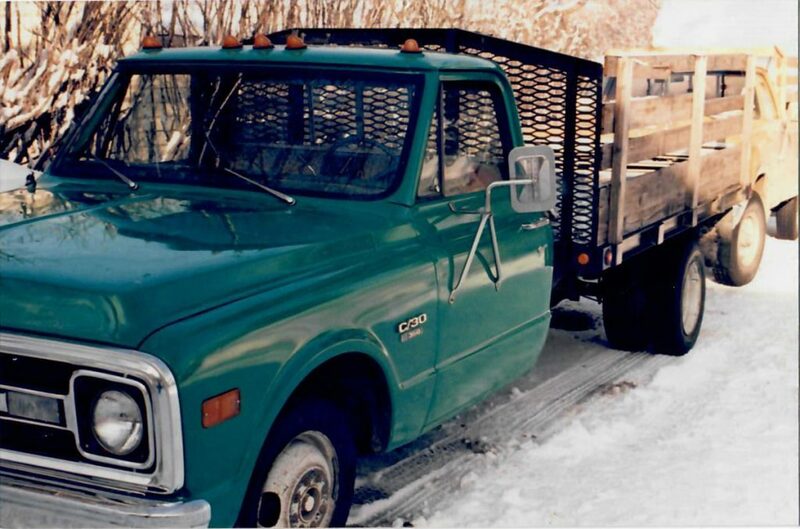 Fresh Kelly green paint, headache rack, enough marker lights to give an eighteen-wheeler a woody. Nine foot bed makes for perfect conformation. Easy to park plus killer looks to burn. I don’t realize it until I see it, but Dream Truck is everything I ever wanted, and the full-size bed leads to full-size tree contracts. I try not to dwell on it, but it’s a miracle, the way this truck fits my life.